Where I am in Ontar-i-o the wild blueberries are in season. Every year I buy a basket or two and freeze those sweet little babies to use throughout the year. They are tart and tangy and full of anti-oxidants, which we could all use a lot more of. In honour of my mom, who used to always make blueberry muffins with sugary-lemon topping, I pulled out the babycakes cookbook and tried their vegan version. Fab-fab-fab-u-lous. What better way to start the day in mid-July when the blueberry bushes are dripping with nature’s bounty? Preheat the oven to 325 degrees. Line a standard 12-cup muffin tin with paper liners. In a medium bowl, whisk together the flour, baking powder, baking soda, and salt. Add the oil, agave nectar, rice milk, and vanilla to the dry ingredients and stir until the batter is smooth. Gently fold in the blueberries just until they are evenly distributed throughout the batter. Combine the cane sugar and lemon zest. 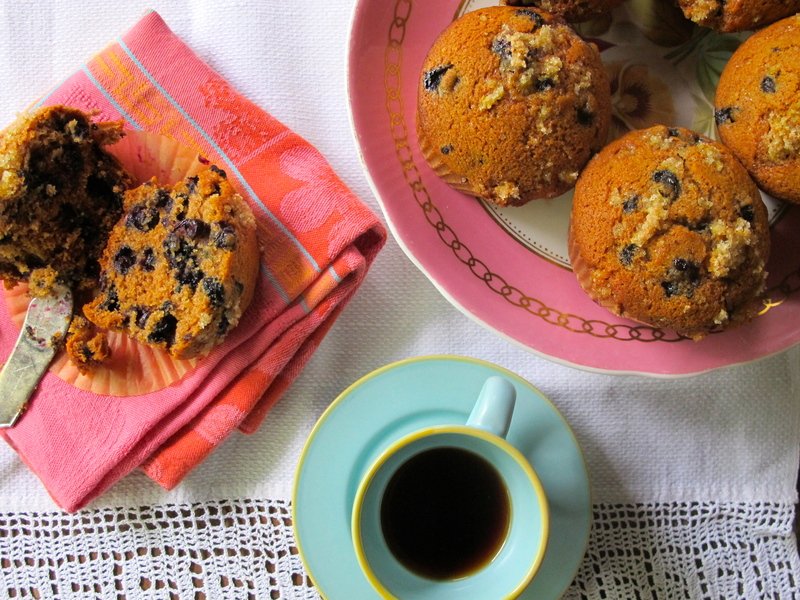 Fill each muffin cup to almost the top. 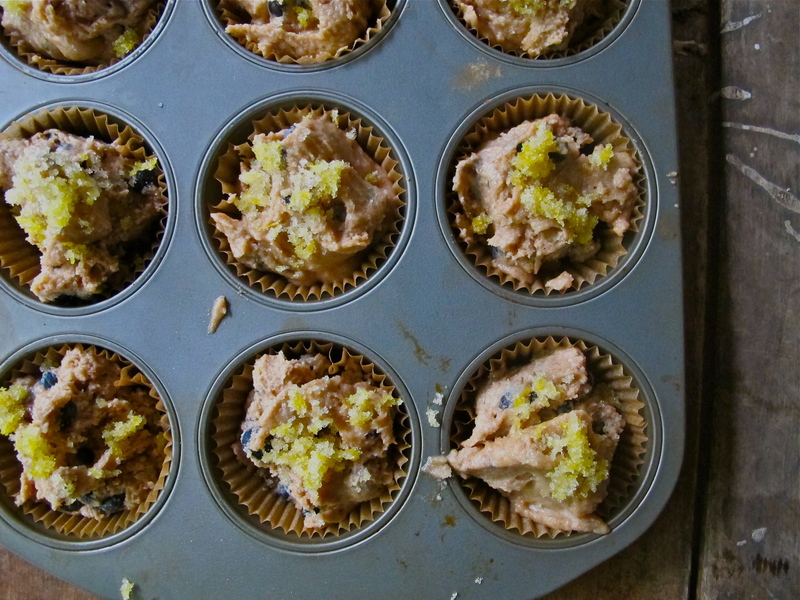 Sprinkle each muffin with a generous helping of the sugar/zest combo. Bake the muffins on the centre rack for 22 minutes until a toothpick inserted in the centre comes out cleanly. Let the muffins stand in the tin for 15 minutes, then transfer them to a wire rack and cool completely. Serve warm on a mellow Saturday morning with a good cup of java. So gourmet but not so difficult! I’m glad I found your blog!!! Thanks Lara. These muffins were awesome. In fact, I’ve been thinking about them constantly for the last 2 weeks. I think I have to make them this weekend. Glad you found them.